The need for drones is growing steadily. Therefore, new and more efficient concepts are needed especially for increasing payloads and as a replacement for helicopters. 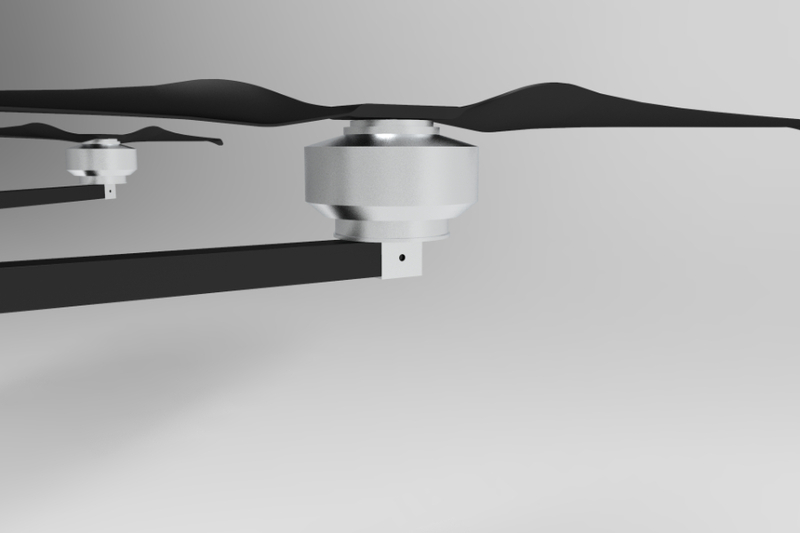 Benjamin Haller, a team member, wrote his bachelor’s thesis about such heavy-duty drones. 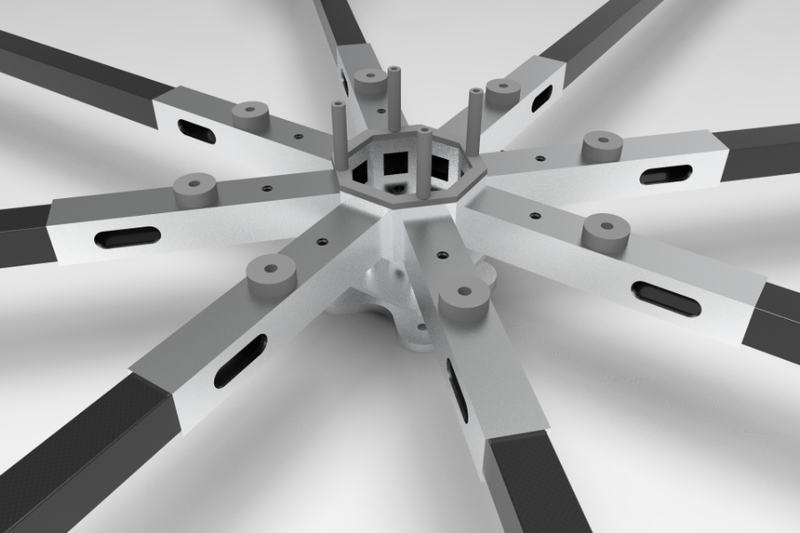 A scientifically proven drone design requires a close look at the individual components and the interaction in the overall system. It starts with an analysis of weight and geometry and goes into bigger detail in calculations of propulsion and structural analysis. In the overall design, the determination of an optimal propulsion system with modern power supply, efficient propellers and sufficient flight performance is a big point. 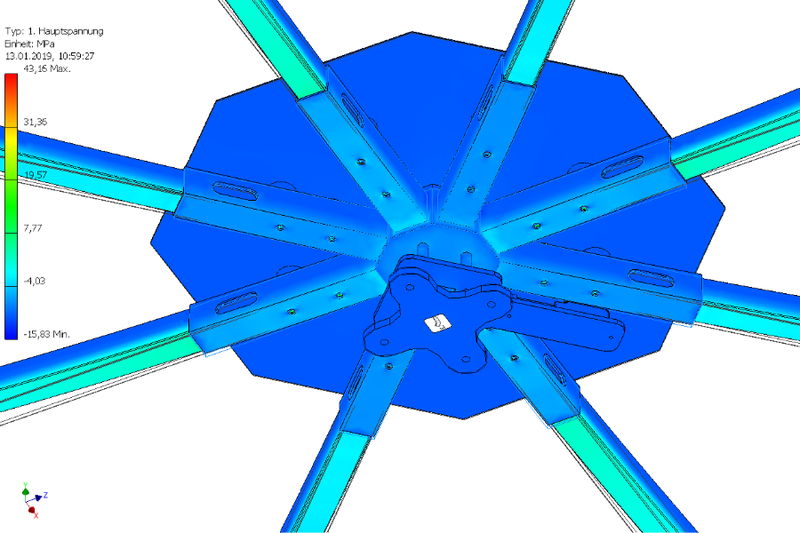 In this bachelor’s thesis, the actuator disc model is used primarily. 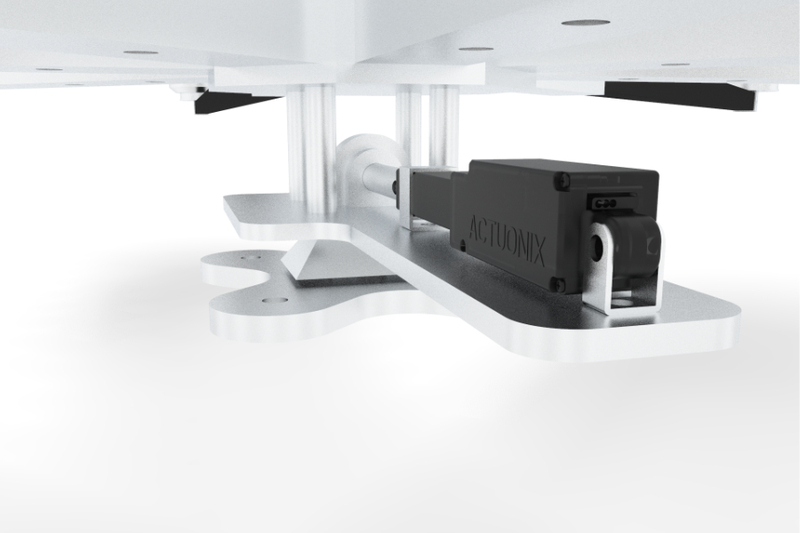 Furthermore, a special system is designed for the automatic pickup and dropdown of payloads. The construction together with structure calculations are done with a modern CAD program. 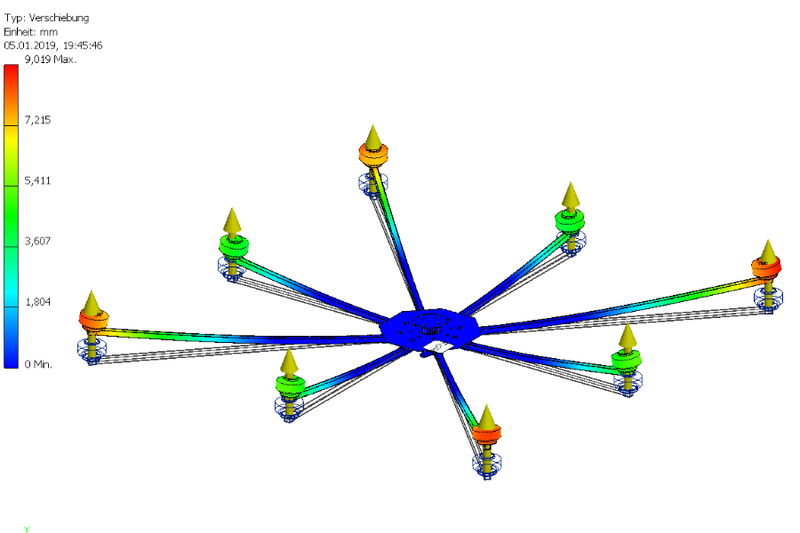 The design and structure calculations with FEM methods visualize the appearance and strength of the drone. The final result is a parts list with the most important components, the costs and the suitable suppliers to produce the heavy-lift drone. 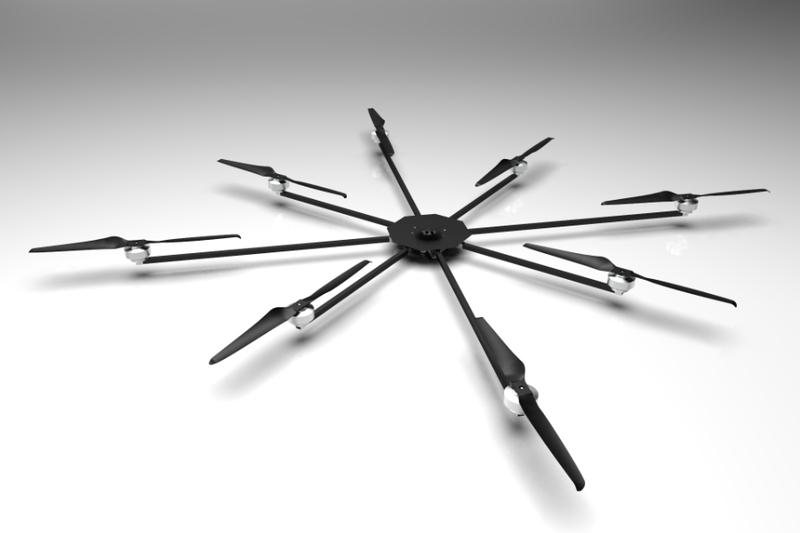 The conventional hover-drones are relatively inefficient but accomplish their purpose without big problems. The result is a good solution for a heavy-lift drone for lifting or carrying payloads over short distances.